If you know me, then you know I’m very shy and a little uncomfortable working out in front of people. The most I’ll do is elliptical and weights at the gym. But secretly I yearn to take a yoga or a hip-hop dance class. I’ve always wanted to get into yoga for its many benefits, but I couldn’t ever bring myself to take a class, especially a mixed gender class, because of all the odd flexing and posing. I’ve bought quite a few yoga DVDs in the past, but with kids and a hectic schedule, I always found it so hard to consistently put the DVD on and work out. Now back to the App. 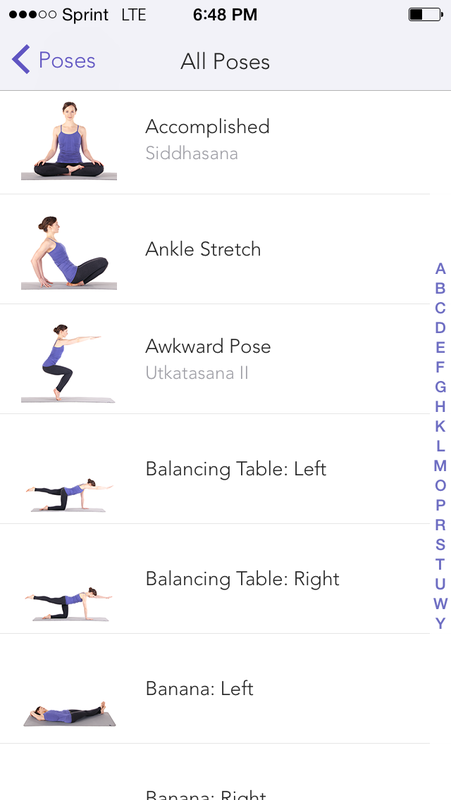 I’ve consistently been doing yoga from this app for the last 5 weeks now, and it’s made such a drastic change in how I feel. Not only does my body feel a lot better, I feel happier because I’ve never done any workouts in the past so consistently. It really feels good knowing I’m doing something good for my body and it makes me want to continue and do even more. Yoga Studio is like having my own private yoga class in my pocket. It has a countless number of classes suitable for any level. You can even customize and make your own classes! It is great for amateurs as well as yoga veterans because there are different levels. Beginning, intermediate, advanced, and so many more! All you need to do is download the app and select which classes you want to download to your own personal studio. Download for each class takes just a few seconds. I usually pick 10-15 minute long classes because thats how long my little ones will keep themselves busy. And I find that doing it once in the morning and once in the evening helps my body feel better and relaxed. There is an index for all the different yoga poses. All videos are in HD. The yoga instructors voice is soothing and the explanations are great for each pose. You can also turn voice instructions off if you’d like and just listen to the soothing sound of waves, flutes, guitar, or birds. This app has a built-in calendar to keep track of your progress (I also use this app on my husbands phone and ipad so my schedule doesn’t look as full as it really is!). 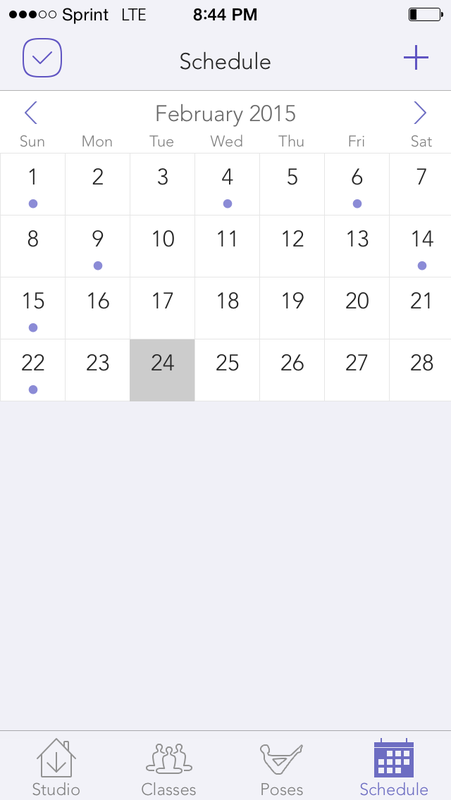 It shows me which classes I’ve already done and when. Overall this is one of the best made apps I have come across. It’s easy to use and the quality is worth every penny of the $2.99 I spent on this 🙂 And the great thing is, you can use this practically anywhere! I do the sun-salutation yoga early in the morning in my backyard. Even my little ones join me because they love doing yoga now! The convenience of using it anywhere is priceless for busy moms, and those who find dressing up and driving all the way to the gym for a yoga class to be a little daunting. I’m especially looking forward to using this app on vacations. Now if only I can find a hip-hop dance class app, my life would be complete!